King Sarto deletes and gavels all! is back to deleting posts that our beloved King Sarto doesn’t approve of. Just like our Village Board meetings where he’ll gavel anyone who dares criticize trustee Linda Remariz Sliwinski, Paul Calusinski, Dave Reece and of course King Sarto. Yet, he’ll let others personally attack trustees and staff, who he doesn’t consider an ally. Now he’s deleting posts by Grant Crowell. The same guy who was a huge fan of Bill Sarto. Yep, Grant Crowell did lots of work to get this creep elected. Of course, after 4 long years of Mark Boettger, almost anyone could of been elected Village President. Now after 4 long years of mismanagement and personal attacks by King Sarto and his cohorts, anyone will beat this ego-maniac in a one on one contest. King Sarto is above the law! Our beloved King of Carpentersville, William Sarto who complains about how trustee Paul Humpfer won’t accept the “GUILTY VERDICT” issued by a Kane County Judge and the continued Court cases that have followed it. Now, we have King Sarto trying to avoid his day in Court. This guy has come up with so many stories about what happened the night he got served by the process server, that it would spin your head right off your neck! Will King Sarto plead the “fifth amendment” and remain silent? Or will he perjure himself? Right now, he’s facing “Obstruction of Justice” charges. His Court date is Friday, Sept. 26. My-O-my, how this creep makes us so proud to live in Carpentersville. It’s what is inside, that counts! King Sarto is delusional and believes everyone, including the Republican Party is out to get him! Seek help Carpentersville Village President Bill Sarto, before you hurt someone or yourself. Over at the Daily Herald blog site, our beloved King Sarto has pointed out that he knows everyone of those anonymous posters, who he perceives as his enemy. 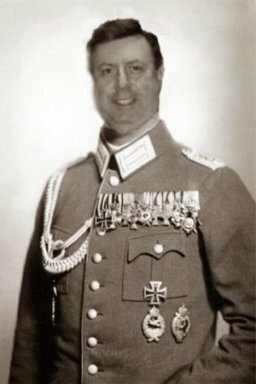 Our King has now accused Pat Schultz as being the anonymous poster by the name of “Old Towner.” He also accuses her of attacking not only himself, but he also implies that Pat Schultz has attacked Public Works Director Bob Cole’s visions for a new public works building. Go to the link provided and see how our beloved King, who acts like someone who may suffer from grand illusions of greatness and of course paranioa. Is this due to dementia, alcohol or just a mental illness in it’s later stages? Here’s Pat Schultz e-mail that I was able get, which explains Pat Schultz side of the story. This includes parts of the discussion on the Daily Herald blog. Just to clarify. I received a call last night asking if I looked at this article in the DH and all it’s comments. I hadn’t so I went out there and apparently Bill has me confused with someone who hides behind the name “Old Towner.” I have only posted once in a paper in response to an article and that was the article about Bonnie Lipprandt. You may be able to research and find it. Sorry to disappoint Bill but I used my real name. Always do. I will let Danny Wozniak know he was referred to as an Old Time Republican. I’m sure he would say thank you. As for the other gentleman who spoke, sorry again, but I don’t know who that was. But I did recognize him as an unhappy resident as many of them are. By the way, thank you for taking care of the overhang on Wisconsin Street and alerting Jack to the potholes. I will be sure to go down to the residents and let them know you took care of it and so quickly. The comments that Bill wrote are below. Judge for yourselves. And again feel free to contact me. I do wish that person would at least say it’s not me even if they want to remain anonymous. But it is so easy to hide behind computers. I know you are all so busy as I am and all I can ever do is sigh and keep going. It takes the patience of Job. Continue with these public displays if you wish, Bill, but I will not respond to either you or that paper over these comments outside of this email. That article is not from today, so how long do they allow those comments to keep going? By the way, at the time those comments were posted I was at work and we are not allowed to surf unless we are at lunch and I don’t take lunches at 2 pm when I leave at 4. Pat Schultz and yes, I’m one of many that live in Old Town. Bill, I guess the lady that spoke last night was right when she said that you need HELP! This isn’t about Republicans, Paul Humpfer or anything else other than you. You seem intent on avoiding the issue. At last night’s meeting the same lady said that you told Bob Cole “to just throw it on the ground”. He instead kept it till the next morning, when he gave it to the village manager. What happened with it from there is still in question. What is obvious is that you are good at avoiding questions (supoena) when it might require telling the TRUTH! Anyone that has either seen you at board meetings, read blogs, seen you on you tube or met you in person know YOU HAVE NO SENSE OF REALITY! You dont have carpentersville in your best interest,only your own,that is why you constantly bring politics into the picture,yet you always state “it’s not political” B S Bill. We old timers are not stupid.We are not happy with your ideas.We dont need a new public works facility, we need more street and sewer repairs, storm water management,etc.,not purchasing of overpriced,worthless property. Oh, by the way, whayever happend about the “GREEN OOZE”. Hope you remember that(NOT) . For those who don’t know Pat Schultz, she is a Republican Precinct Committeeperson from Old Town. Of course this isn’t about politics is it Pat? We don’t need a Public Works Facility? Now that proves you have NO common sense or any sense of what is best for our Village. Last night’s public comments were a joke. You guys even brought out some of the really old time Republicans from Carpentersville to harp about the Village and give “fake praise” to the “volunteers” who are cutting the grass one house at a time. That was the same stratagy that has failed this Village for decades. That was how the streets/neighborhoods were neglected during those previous 40 years of Republican run administrations. You don’t have a clue as to what this Village needs. Your so called solutions are just more of the same bad thinking that has gotten Carpentersville into the mess it was in when I was elected. Pat you and your bunch have NO VISION. It truly is the blind leading the blind. So, you think it’s “ok” to leave millions of dollars of Public Works equipment sitting outside, which only shortens the life of that equipment. Pat, please don’t think, it hurts the team. Ha Ha Ha I Know you have no clue. The question was ………WHAT HAPPEND TO THAT SUPOENA? As was said before ……LIAR LIAR PANTS ON FIRE ! I don’t know what happened to the subpoena. You told me that the Village Manager had it. Pat, why would I lie about this. What’s the BIG deal. All this is another attempt to draw out the inevitable. So, I testify to the FACT that I have no relationship with Judge Hallock and have had no contact with him, then what happens, does Humpfer finally go to jail? I wouldn’t hold my breath. Not is this County. If Humpfer and his attorney are so eager to get me into court why wasn’t I served last night at the Village board meeting or before or after. So where is the lie? I have NOTHING to hide. I would be pleased to share the TRUTH with the court. But, first, I must be served. Do you think they can do that the right way? I don’t. Have a good day Pat. bill, can you tell us where the paper is? I thought YOU knew where the paper is. Read your own posted comment. Have you forgot that Manager Anderson has it. At least that’s what you commented. I have no idea where it is. You seem to know more about this than I do. Perhaps that’s because I don’t really care where the paper is. Why don’t you ask the “process server” what he did with it, if he truly was a process server. I have my doubts. A real process server would not have left a subponea on anyone’s car. That is NOT proper service. Ask anyone who knows, they will tell you. I hope he didn’t bill Humpfer for this shoddy work. Even Humpfer deserves better than that. Well, there you have it, just the facts. We have nut running our Village, who wants to post on blogs at all hours, like his favorite hours of 1am, 2am and 3am, no wonder he sounds so incoherent, he’s sleep deprived. Just a warning King Sarto, watch out for those squirells! King Sarto has lied on so many occasions, he finds that telling the truth is too darn hard to do. He just might get his truths mixed up with his lies. 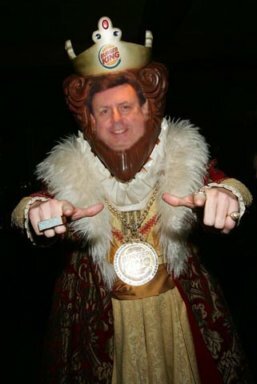 We all know that King Sarto is so fixated on Paul Humpfer, that he’ll do, say and make a pact with the Devil himself to try to make Paul Humpfer resign his position as trustee. He’s tried low-life tactics, which are more fitting for a proud member of the Gestapo, against his perceived enemies. Now boys and girls, we’re going to tell you what happened in the continued saga of that missing subpoena, after King Sarto was served the subpoena by the process server, before the last Village Board Meeting, last Tuesday evening. King Sarto gave differing stories about what happened before and after the last Village Board Meeting. Here’s Public Works Director Bob Cole’s version about that subpoena that disappeared that night, OR DID IT?!?!? Bob Cole said that both he and Mr. Sarto were both walking to their vehicles after the Village Board Meeting, when as Mr. Sarto was getting inside his vehicle, Mr. Cole saw a paper attached to Sarto’s windshield. He told Mr. Sarto that he had something attached to his windshield. Mr. Sarto responded by saying to Bob Cole, that he didn’t care and asked Bob Cole to remove and throw the paper on the ground. Of course Bob Cole wasn’t going to litter the parking lot, so he placed the subpoena in his own vehicle and drove home with the subpoena. 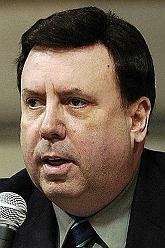 The next day, Wednesday morning Bob Cole took the subpoena to Village Manager Craig Anderson’s office. Obviously, even Public Works Director Bob Cole knew that this was a legal document and did the right thing by giving it to his superior. Otherwise, he might of been involved with some type of criminal conspiracy. Now….that we asked Bob Cole what happened to that subpoena that night and the morning after, we’ll have to ask Village Manager Craig Anderson, what he did with that subpoena that Bob Cole gave him. Hmmmm, I’m sure that Village Manager Craig Anderson did the right thing and returned that “lost” subpoena to it’s lost and “rightful owner”, King Sarto himself. Stay tuned as we will be asking Village Manager Craig Anderson the same questions we asked Bob Cole.